For the dressing: Combine all the ingredients and set aside. For the salad: Boil the egg. Dice the tomato, onion and green pepper. When the egg is ready, let cool and dice. Drain the chickpeas. 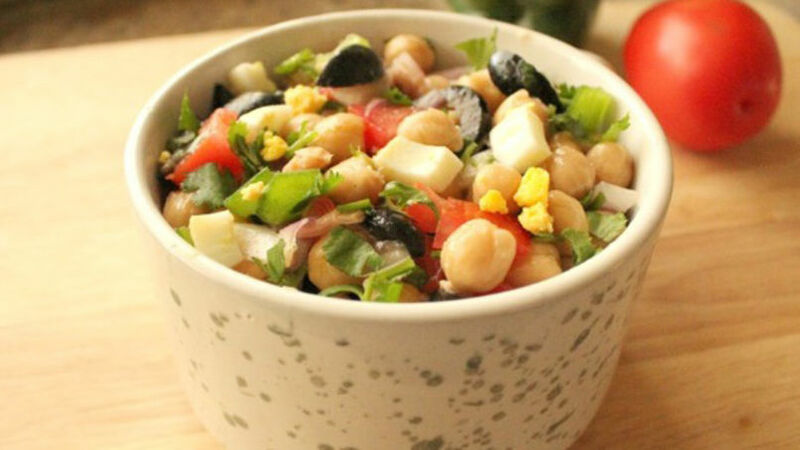 In a salad bowl, mix all ingredients, including tuna, olives and chopped parsley. Season with the dressing. You can add other seasonal vegetables. Spring means warmer temperatures and the need to eat fresh and light. Since I like legumes, I decided to find a fresh way to incorporate them into my diet. I thought this delicious chickpea and tuna salad would be perfect. It’s super quick and easy to prepare, and can be served for lunch or even for dinner.